Several years ago, while his peers popped No-Doz and sported fake IDs, college sophomore Mark Devries had other plans. The 20-year-old Devries spent his time and money traveling the country to conduct video interviews of philosophers, activists, and factory farmers. His efforts would ultimately become “Speciesism: The Movie,” a groundbreaking, feature-length documentary about the nature of species-based prejudice. The film was released in 2013 to glowing reviews in Psychology Today, Scientific American, The Huffington Post, and many other media. “Speciesism” refers to the categorical exclusion of nonhuman animals from the moral realm occupied by humans, and exclusion from the protections that realm offers. Through a number of eye-opening interviews, the film reveals that most humans hold speciesist views – and that these views typically lack a rational basis. We learn that because humans and nonhuman animals share many emotional and cognitive traits, the prejudice of speciesism is little different from racism, sexism, or other forms of discrimination among humans. I recently caught up with Devries, now in his mid-twenties, to ask him about this remarkable movie and the inspiring story of its production. He delayed the start of law school for a year to work on the film, and while he did finally graduate, now he’s too busy traveling and screening the movie to focus on the bar exam like most law grads. Making movies instead of practicing law? It’s a brilliant, alternative legal career that many lawyers – including me – would view with admiration and envy. Dave Simon: What led you, as a 20-year-old college student, to start making this film? Mark Devries: I came across some PETA demonstrations, and I became curious as to what motivated them. I started looking into it, and once I discovered factory farming, I was shocked to learn that for the most part, farms don’t really exist anymore. Instead we have these highly-controlled, sci-fi dystopias. I thought it seemed like something that should be made into a documentary. It was only once I started filming that I came upon the much larger and deeper issue of speciesism itself. DS: You mention in the film that you didn’t know anything about movie-making when you started. How did you do it? MD: I bought a camera, and I taught myself how to use that and the recording equipment. Then I taught some college friends how to use the equipment. DS: Amazing. So you had a crew of friends. What was the film-making process like? MD: I had to film sporadically while in college at the beginning, using money I earned from part-time jobs. I did a lot of filming, trying to find things out, and I made many attempts to get things on film – sometimes succeeding and sometimes not. Often we just walked up to animal facilities and tried to get into discussions with the owners, and to get them to talk about what goes on inside. Some of things they told us were quite shocking, as seen in the film. Then, perhaps a year into filming, I learned about speciesism – and that quickly became the film’s new direction. DS: It must have been incredibly challenging to do all this while in college. Did you ever consider dropping the project? MD: I almost gave up many times. As a college student, I didn’t have much money, and I was spending everything I had to take these regular excursions to investigate factory farms and conduct interviews. I also used practically all of my free time on this, so it was exhausting. DS: There’s an intense scene in the film in which your father describes living with chronic pain. You mention it was the first time he ever discussed his pain with you. What was it like for you to film this scene? MD: I was honored that my father was willing to discuss it. While shooting the scene, I was thinking that his experience would make a real difference in opening peoples’ minds and hearts to what nonhuman animals experience. Audience members tell me that until watching this scene, they had never thought of nonhuman animals experiencing pain in the same ways humans do, so it have been a very effective part of the film. DS: You interview, or try to interview, a number of factory farmers in the movie. Did you learn anything important from these interviews (or attempted interviews)? MD: More than anything else, I was floored by the cavalier attitude of the farmers who finally let us onto their property. That seemed to perfectly illustrate the level of desensitization to suffering that exists in today’s meat industry. DS: What effect do you think the movie has had so far in raising awareness of speciesism and its consequences? DS: How did making this movie change you? MD: I wasn’t vegan when I started the movie. I became vegan about halfway through, after I had spent time talking with philosophers like Peter Singer and Tom Regan. 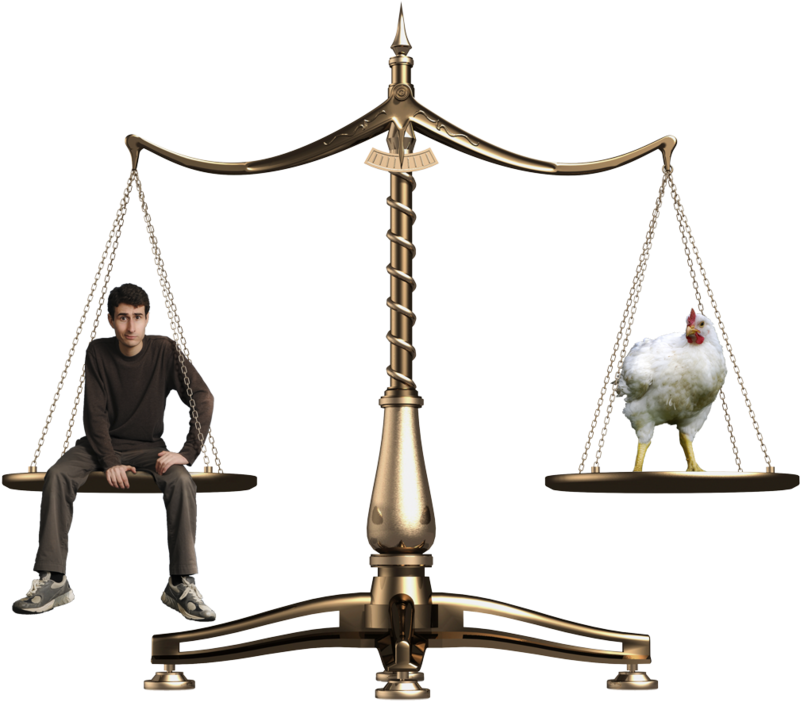 They argue for fundamental changes in our view of nonhuman animals, on the grounds that not taking nonhuman animals seriously is a form of prejudice similar to racism and sexism. This moved me from thinking of the topic as an issue of sentiment – whether or not we have kind feelings towards other animals – to seeing it as a serious ethical issue on par with the other major ethical and political issues of our time. “Speciesism: The Movie” is now showing in screenings around the country. 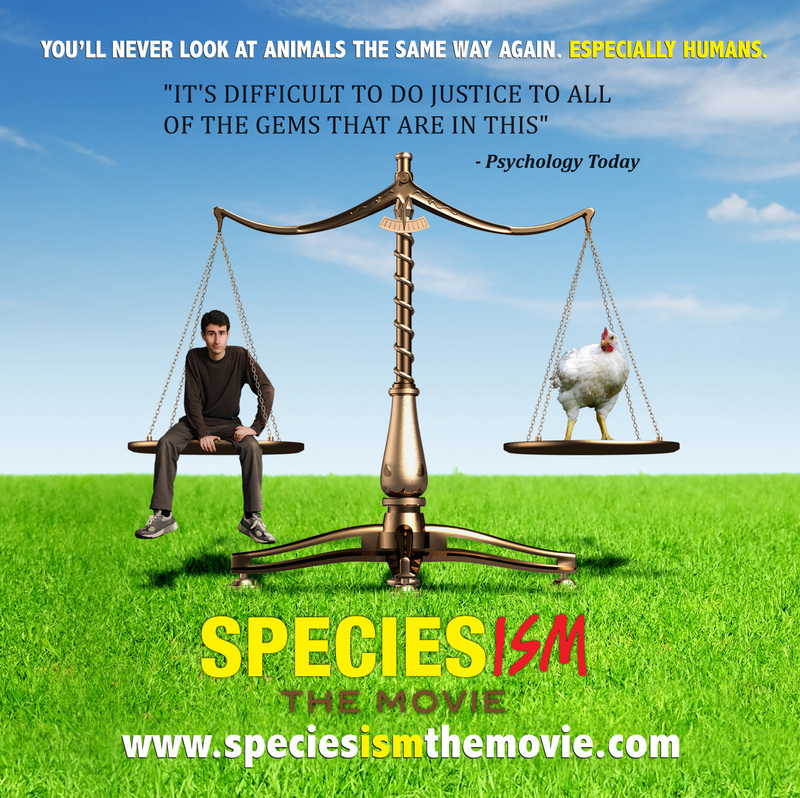 To find or arrange a screening near you, buy DVDs for yourself or others, or learn more about the movie and the issues it covers, visit SpeciesismTheMovie.com. Special bonus: use coupon code meatonomics for a 50% discount on any purchase. Curious about the bizarre economic forces in the meat and dairy industries? Check out Meatonomics: How the Rigged Economics of Meat and Dairy Make You Consume Too Much, and How to Eat Better, Live Longer, and Spend Smarter.